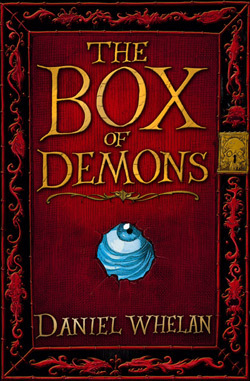 Where can I buy The Box of Demons? If you’re looking for the paperback: anywhere that sells books. (Click here for links). If you want the hardback special edition, they’re trickier to find: all but sold out, and only available from independent bookshops. Will you come to talk to my class or reading group? Almost certainly. If you’re thinking of booking me, head over to the Contact page for more details. What is the weirdest character you left out of The Box of Demons? This is not a frequently asked question, but it is the best the question I’ve been asked on my travels, so I thought I’d put it in here. There was a grumpy priest that Ben ran into in an early draft of the book who I sort of miss, but the real answer is the weird ones all stayed in the book. It was the boring ones that got cut. Do you know Ron Weasley? No. Weirdly, this is a frequently asked question.